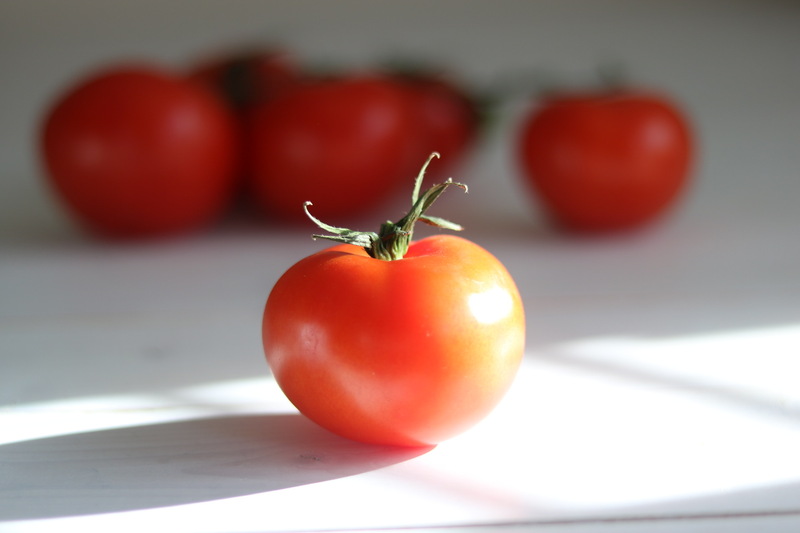 One of the key elements is to select the best tomatoes – for this recipe I bought beautiful vine tomatoes from our local farm shop Farndon Fields. Also, don’t be tempted to add more of any one ingredient. I’ve done it a couple of times, thinking “oh it will be fine”. 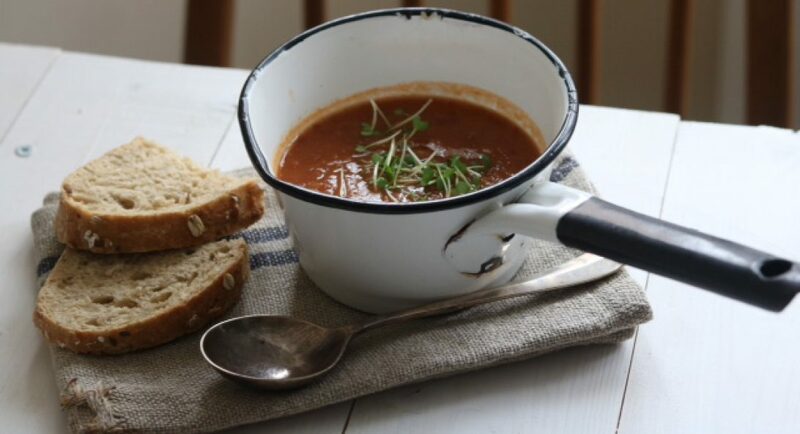 But with added celery it overpowers the soup and any extra adzuki beans is too much – 80g of beans provides the optimum texture for this soup. 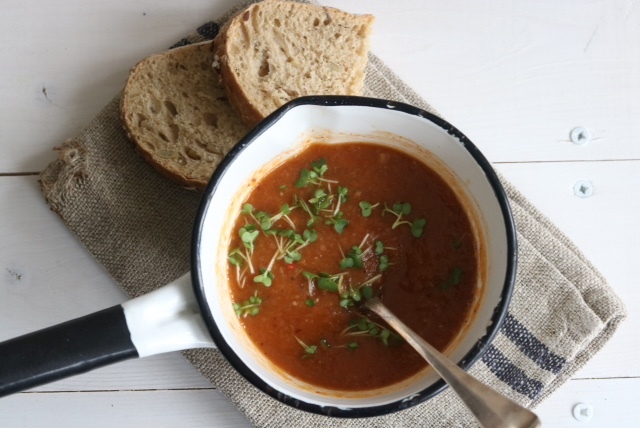 This is yet another fantastic recipe by Jeannette, the author of the Drop Zone Diet and a perfect, flavoursome, wholesome soup to bet you back on a healthy track as we head into Spring. 1 large onion, peeled and chopped. Preheat the oven to 200°C. Wash and slice the tomatoes and place on a baking tray. Sprinkle a good amount of pepper (this helps with the heat of the soup) and a little salt. 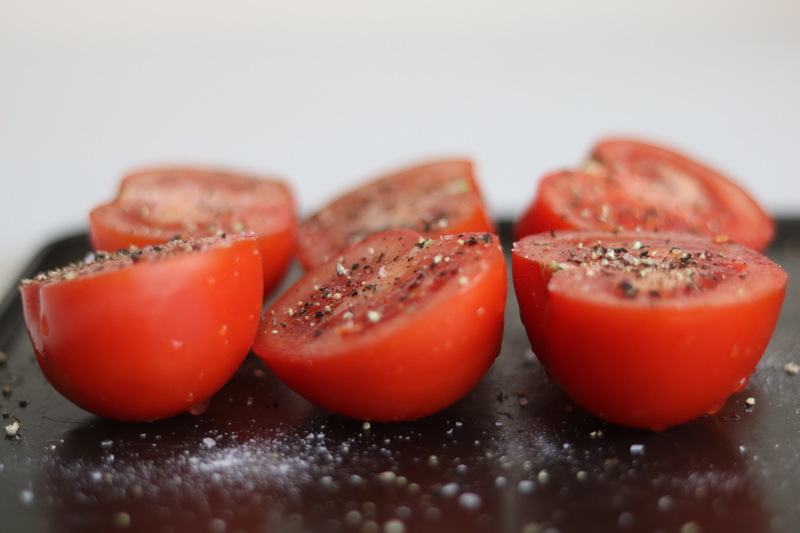 Bake the tomatoes for 30 minutes, adding the unpeeled garlic cloves after 25 minutes. Whilst the tomatoes are roasting, prepare all the other vegetables. I tend to boil a kettle of water and put the stock cubes in as it speeds things up! 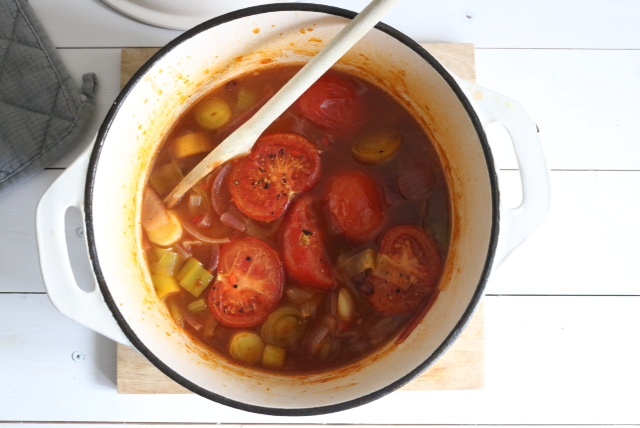 Add all the vegetables, chilli, tomato puree and adzuki beans (use ready to eat or cooked from dried as per the packet instructions) and hot stock and bring to the boil before simmering for 20 minutes. Remove the tomatoes and garlic from the oven (carefully peel the garlic) and add to the soup. Add the red wine vinegar and simmer for 10 more minutes. If needed, add a little more hot water but not too much, as you still want to create a nice thick soup. When the soup has cooled, blend. When serving, heat as required and I like to add some garnish such as cress – beautiful!